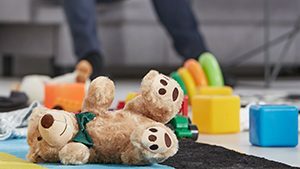 Child Custody Arrangements in Georgia | Do You Want Physical or Legal Custody? With the Different Child Custody Arrangements in Georgia, Your Child’s Health and Happiness is in Your Hands. When it comes to your children, you’ll do anything to make sure they are happy and healthy. When your ability to see them becomes restricted, however, it’s more challenging to ensure their wellbeing. While divorce has many downsides, the looming risk of not being involved in your child’s life in any way is the worst. There are two different custody concepts that you will need to understand before attempting to resolve any custody-related dispute: legal custody and physical custody. Both legal custody and physical custody arrangements can result in one parent having custodial rights (sole custody) or can result in both parents having custodial rights (joint custody). At the Boudreaux law firm, we can help you navigate the different custodial arrangements to protect your rights related to the custody and care of your children. Legal Child Custody – Do You Want to Ensure Your Child’s Health and Happiness? When a parent has legal custody, they have the right to participate in making decisions regarding a child’s health care, education, extracurricular activities, and religious upbringing. A parent who has no legal custodial rights for their child is unable to handle routine parental functions such as obtaining medical treatment for the child, accessing the child’s medical records, enrolling the child in school, or accessing the child’s school records. For this reason, it is common for both parents to share joint legal custody of their child. However, in some cases, a decree may provide that only one parent has legal custody of the child (sole legal custody), excluding the other parent from being involved in many of the child’s activities. Physical Child Custody – How Much Time Do You Get to Spend with Your Child? Physical custody basically determines how much time the child spends with each parent. Physical custody can be awarded as sole physical custody (whereby only one parent has the right to maintain custody of a child), primary physical custody in one parent with the right of visitation granted to the non-custodial parent, or joint physical custody. Sole custody and joint custody arrangements are relatively uncommon. In most cases, judges will award primary physical custody to one parent while providing visitation rights to the non-custodial parent. 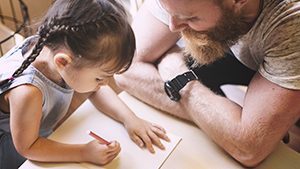 Sole Physical Custody – Sole physical custody is relatively uncommon because Georgia courts generally recognize the legal rights of each parent to be involved in the upbringing of their child. It is generally in the child’s best interest to have both parents actively involved in their upbringing. However, in some cases, a parent can lose his parental rights of the child, and sole custody is granted to the remaining parent who still maintains his/her parental rights. 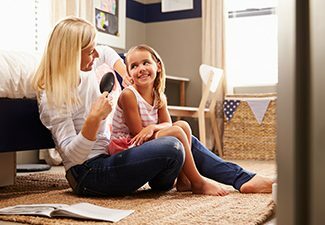 Primary Physical Custody – Most physical custody arrangements involve a court awarding primary physical custody to one parent (the “Custodial Parent”) and providing the other parent (the “non-custodial parent”) with specified visitation rights. In Georgia, these visitation rights are detailed in a parenting plan so that both parents can clearly understand their rights and obligations regarding custody of the child. In the event that one parent violates the terms of the parenting plan, the aggrieved parent can file a contempt action to enforce compliance with the parenting plan. Joint Physical Custody – In Georgia, joint physical custody arrangements are not common. Under a joint physical custody arrangement, both parents share an equal amount of time living with the children. For example, the children may alternate living with their father and mother on a weekly basis, rotating from house to house each week. Joint physical custody is not practical in many cases and can be disruptive to the children’s schooling and extracurricular activities. It also requires the parents of the children to maintain a high level of communication and cooperation to make the joint custody arrangement work, and many ex-spouses are simply unable to keep up with these demands. There are many factors that a judge considers before awarding custody of a child to a parent, but the bottom line is that the judge must determine which custody arrangement is in the best interest of the child. The child’s preference, age, and school schedule all factor into the decision. The ability for a parent to care and provide for the child, the distance between parents, the parents’ work schedule and home life, as well as the mental and physical health of each parent also factor into the judge’s decision of custody. When you’re fighting for your child, it is best not to leave it up to chance. Call Boudreaux Law Firm and let us help you fight for your child. We find evidence of your ability to care for your child and help you gain custody by appealing to the judge on your behalf. Call (706) 869-1334 today and get your child safe at home tomorrow.